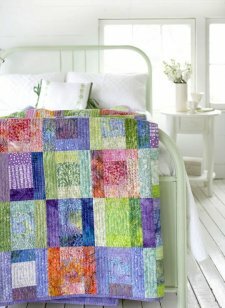 "Use batiks in this quick-to-sew bed-size quilt—or not! Delicious sherbet-tone batiks are its foundation, but designer Tammy Kelly has added pretty coordinating prints that fit right in for a softer touch. Start with a simple square, surround it with four mix-and-match rectangles, and voilà—one block is done. 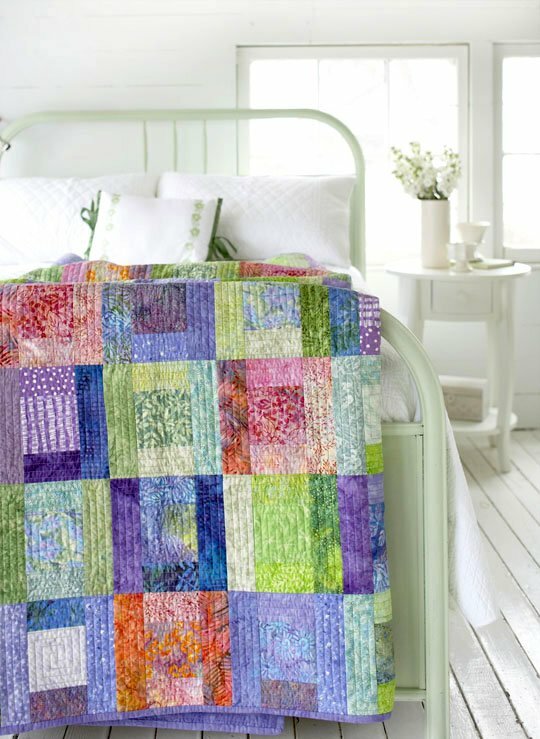 Make a block or two each day, and soon you’ll have enough for the stunning, borderless quilt top (no borders to cut and add puts another fast twist on this project)." 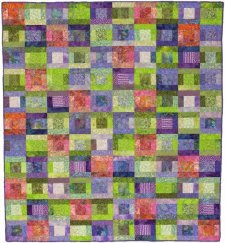 Click the button below to see the wonderful tutorial the team at All People Quilt has put together for this project. You can download the pattern there as well. 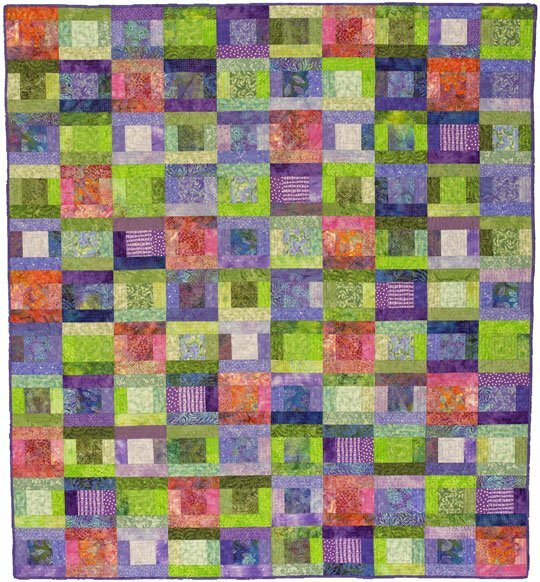 Also be sure to check out all of the wonderful free quilt projects they've done for you!